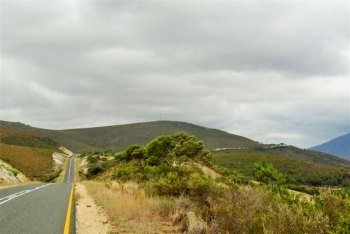 Despite the romantic, historical connotations of its name "Ou Kaapse Weg" ('Old Cape Road'), this is actually a relatively modern road, which was opened in 1968. There is a jeep track that runs more or less paralell, but higher up the northern side of the pass, which is purportedly an old wagon road road used to cart ore from the silver mine lower down the mountain in the late 1800's, and which is still accessible to hikers who walk the many beautiful routes available on both sides of the pass within the Silvermine Nature Reserve. The pass is a major one covering a distance of 10,6 km and in that length contains 26 bends, curves and corners including 3 full horseshoe bends and another 3 corners in excess of 90 degrees. 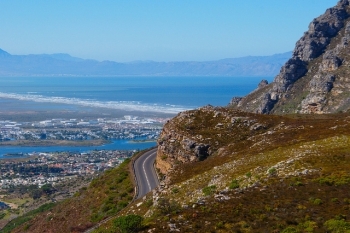 The pass offers a modern, well bult road with superb views over it's entire length of both False Bay and the Atlantic Ocean with the Steenberg Mountains and Silvermine Nature Reserve with its winter waterfall keeping travellers entertained through the middle section. 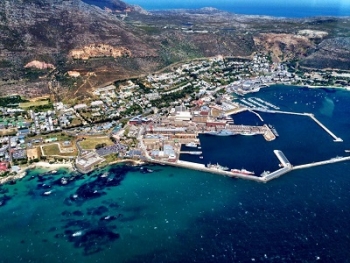 It gives access to Fish Hoek, Noordhoek, Kommetjie, Simonstown and the Cape Point Nature Reserve. 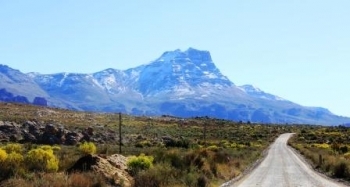 The Blinkberg Pass (translated as 'Glittering or Shining Mountain') is a fairly long pass, found on the much revered gravel road (the P1482) through the southern Cederberg. The Grootrivierhoogte Pass and Blinkberg Pass run concurrently for a distance of almost 20km through magnificent and rugged scenery. The pass has an unusual vertical profile in that it has two false summits located approximately at the 1/3 and 2/3 points. Each of these is marked by a short tarred section to cope with the very steep gradients. At 11,8 km this a long pass and is peppered with corners, but most of these are fairly easy. There are however, some really nasty ones, which can catch unsuspecting drivers by surprise. The road traverses spectacular Cederberg mountain scenery and follows a narrow kloof for most of its length. Earmark this one if you've never driven it, as it's one of the nicest gravel roads in South Africa. 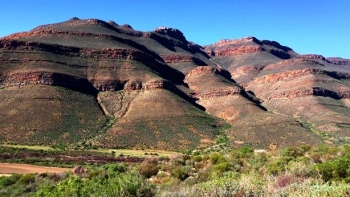 The Eselbank Pass, a section of which also appears on some maps as the Kerskop Pass, connects the Moravian mission village of Wupperthal with its sister village of Eselbank to the south in a high altitude part of the Cederberg. The pass is 10,5 km long and is very steep in places, but these sections have been concreted which assists greatly with traction. It has an average gradient of 1:21 but the steep sections get up to 1:5. You can enjoy fabulous mountain scenery along this pass and along the summit plateau area there are beautiful, weathered sandstone formations and Rooibos tea plantations. Allow plenty of time to complete the route through to Matjiesrivier - at least 90 to 120 minutes. Note: This route is not recommended for normal cars. Things can get a bit rough on this road. It's more of a track at times and especially so in bad weather. Having said that, I have seen some puny little front wheel drive cars successfully negotiating the entire route, but your car will be the worse for wear at the end. We have included four videos, which include an overview of the village as well as the waterfall. Translated from the Afrikaans to mean 'Blacksmith's Shop', this route delivers the best views when driven from south to north. The pass begins at the crest of the hill just past the turn-off to the Cape Point Reserve at an altitude of 146m ASL, then drops immediately down a 1km fairly straight section (with a gradient of around 1:11) towards a sharp left-hand bend of 90 degrees, where parking is available. 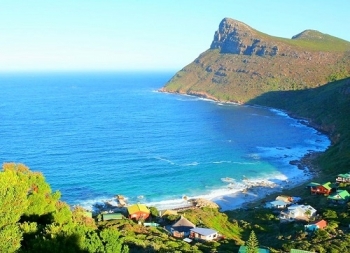 The road forms part of a wonderful circular route around the Cape Peninsula and carries a lot of tourist traffic including tour buses 7 days per week. 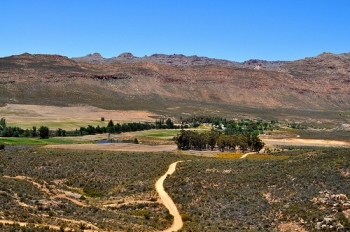 The Kouberg Pass (translated 'Chew Mountain' or possibly an abbreviation to mean 'Cold Mountain') is a short, but steep pass on a minor gravel road which takes vehicles down to the Moravian settlement of Wupperthal in the central Cederberg area. The road is quite narrow in places and very steep on the concrete sections. A lower gear should be engaged to make use of engine compression to save on brakes overheating. Red Hill Road is 7.6 km in length, packing a fantastic scenic punch into that distance, with most of it in the final 3.4 kms of descent. The road starts at the intersection of the M65 (the coastal road from Cape Point to Kommetjie) and the M66 (Redhill's official route designation.) It plays host to one of Cape Town's favourite long distance road running races - the 36 km Redhill Race. The road contains over 30 corners, bends and curves, which include no less than 6 hairpin bends - four of which occur on the eastern side of the mountain. Allow space on the hairpins for bigger vehicles, which will require the entire width of the road to negotiate the bends. Despite the extreme bends, the gradients are actually quite reasonable at 1:14 at the steepest point. 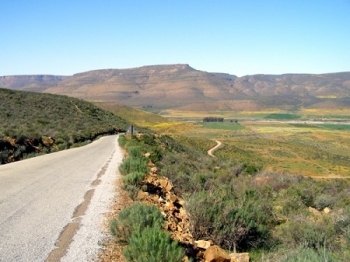 The Hoek-se-Berg Pass (translated as 'Corner's Mountain') is a short, but steep pass on a minor gravel road which takes vehicles down to the Biedouw Valley in the central Cederberg area - a well-known site for wild flowers in spring. On some maps - including the official government 1:50,000 maps, this pass is listed as Uitkyk Pass. There is another Uitkyk Pass near Algeria Forestry Station in the Southern Cederberg and so plenty of confusion has been caused. As a consequence this pass had a name change to Hoek se Berg Pass. To add even more confusion, the southern Uitkyk Pass is also known as the Cederberg Pass. 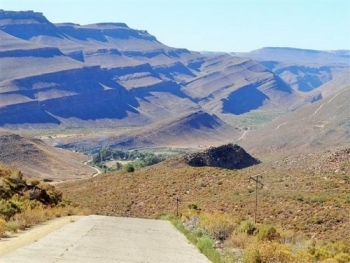 The Pakhuis Pass (meaning 'packing shed' in Afrikaans) begins just outside Clanwilliam, connecting it with the Karoo town of Calvinia and beyond. The pass's surveyor and builder, Thomas Bain, was an incredibly energetic man of many talents, which included art, rock paintings, geology, cartography and engineering. 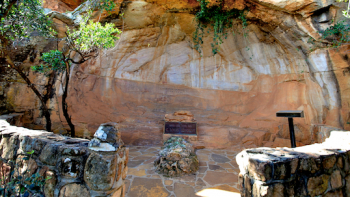 This is a major pass which has recently been fully tarred over its entire length and offers a wide variety of scenery, grave sites, weathered rock formations, picnic sites and some of the Cederberg's finest hiking trails. The pass is suitable for all vehicles but do comply with the speed limits, especially along the northern switchback section, where the gradients are quite steep and the corners (although nicely radiused by the road builders), are quite sharp. The pass is in the Top 20 passes nationally in terms of its length (26,4 km) and has a big altitude gain of 824m. Most of the new road follows Thomas Bain's original lines. The road is single width for some of its length, which makes overtaking impossible and oncoming traffic a problem. Should this happen, one of the vehicles will need to reverse back to a wider, safer place to allow the other vehicle to pass. Etiquette is that the ascending vehicle has right of way, but this is sometimes neither practical or safe. Use common sense and be courteous. The road can get quite busy on long weekends, but is otherwise very quiet.